In the Cockrell School of Engineering, we are dedicated to creating a diverse and inclusive environment for our students, faculty and staff. We believe that diversity of people leads to diversity of thought, eliciting creative solutions and innovative approaches to all aspects of the engineering practice. Including those from all backgrounds also prepares our students for the global community where they will live and work. We believe that it is equally important to support our diverse populations and reinforce that they belong in Texas Engineering. The school's primary programs in this area provide peer mentoring, support networks, events and other programming to serve our underrepresented populations. 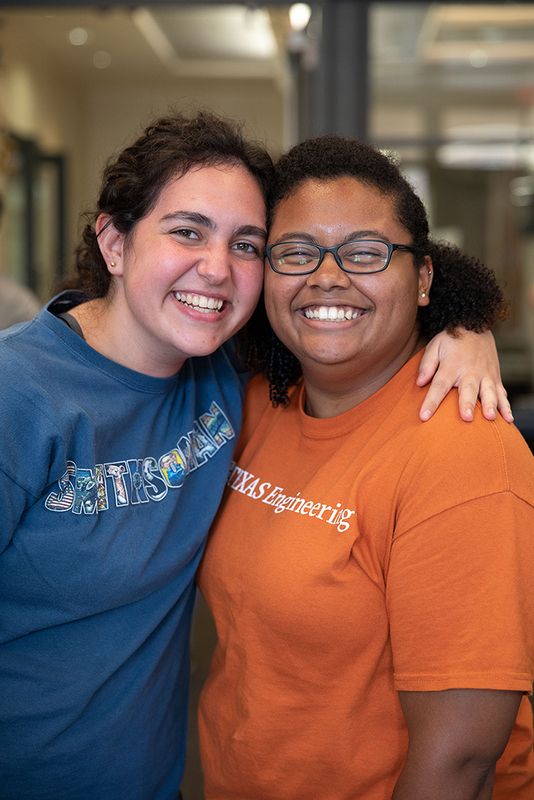 EOE provides equal opportunities for underrepresented ethnic minorities and students with marginalized identities by increasing awareness of engineering to diverse pre-college students, promoting academic success to increase retention and graduation and developing leadership and career-driven programs. WEP connects students, educators and professionals to the world of engineering through recruitment initiatives, supportive structures and educational services to promote the success and advancement of women in engineering.